One month after 500px launched its all-new Prime photo-licensing marketplace, the service officially rolls out of its invite-only beta period today. The new Prime service is all about helping photographers sell their images and earn a wage from their handiwork by pushing directly to publications, advertisers, and anyone seeking quality imagery. The new service launches with a collection curated by 30,000 of the community’s army of photographers. 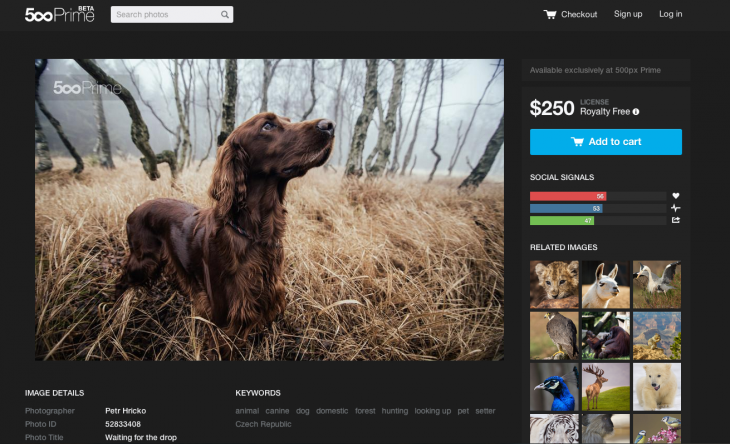 500px Prime is selling itself as a way of accessing simple, royalty-free imagery for commercial use, with a non-restrictive global license costing a flat rate of $250. Each photographer will keep 70% of every sale they make.